New Members receive 20% off when you join our MAX monthly membership program. This 20% OFF Coupon is valid for 60 days from the date you signed up for our Free membership. 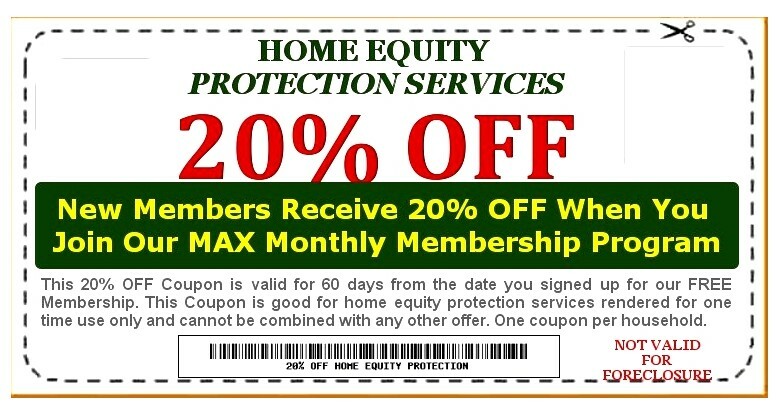 This coupon is good for home equity protection services rendered for one time use only and cannot be combined with any other offer. Limit one coupon per household.